The export window is divided into two parts. 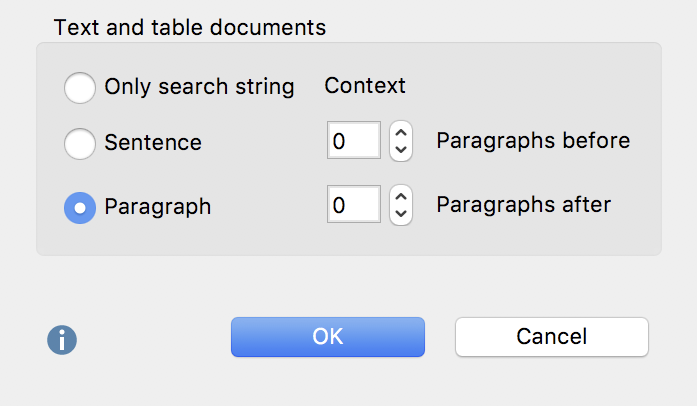 Options for the export of search results from a PDF document can be selected in the upper section, with the corresponding options for search results from text and table documents in the lower section. Exports of pure search results as a simple list is generally not useful; therefore you can define the range for the export of search results. Setting Paragraph with 0 Paragraphs before and 0 Paragraphs after means that only paragraphs in which the search term is found will be exported. If the term appears several times in the same paragraph, the paragraph is still listed only once, whereas the search term or terms will be listed more than once. Setting 1 Paragraphs after means that the paragraph containing the search term, as well as the following paragraph, will be exported. Please note: Read the chapter on Extended Lexical Search to learn how MAXQDA recognizes sentences. to go to college straight from high school in 1964 and become a teacher. I was a good student in high school graduating 19th in a class of 403. I really wanted to go to college, but my family couldn’t afford it. Unfortunately, my mother had the attitude college was a waste for girls, because they got married and didn’t put their college education to use. So, I never pursued the issue. I know, I shouldn’t blame my mother for my not going to college. I could have been more enterprising and tried to find a way to pay for it on my own. I think never having been a teacher will always haunt me. Now it’s too late. I’d have to take a large salary cut if I were to change professions at this stage in life. Each search result consists of the source data, including the name of the document group and document, and the position in which the search string was found (in brackets), followed by the search string itself. 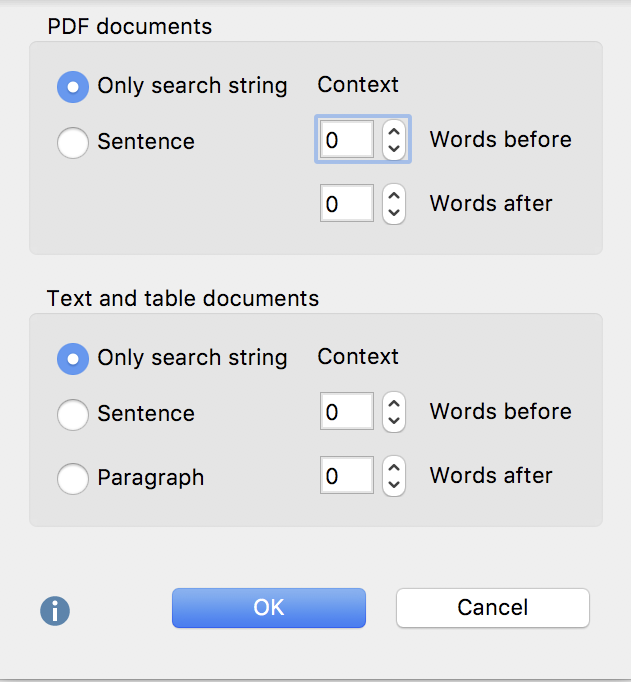 Please note: The recognition of sentences in PDF documents is optimized for left-to-right languages and may not work as expected with right-to-left languages.